ARENA Sports Division is a full ground handling service agent acting as a one stop point of contact for sports teams wishing to benefit from the island’s excellent climatic conditions and very good standards of training facilities. Based on the other end of the island, Arena Sports somehow made its way to us back in 2014, hiring us to produce their website. 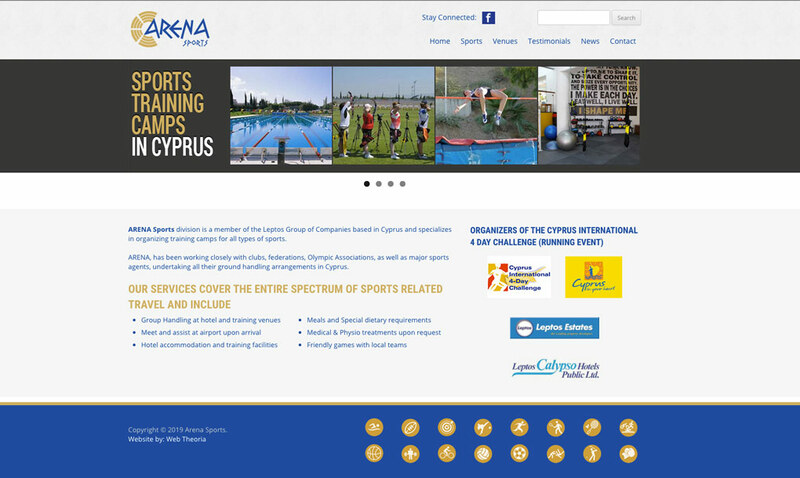 It was and still is a joy to collaborate with Arena Sport’s friendly and competent team that carries worthily the heritage of a large organisation such as the Leptos Group of which is a part of.